Marshalls Creek Vol. Fire Co. 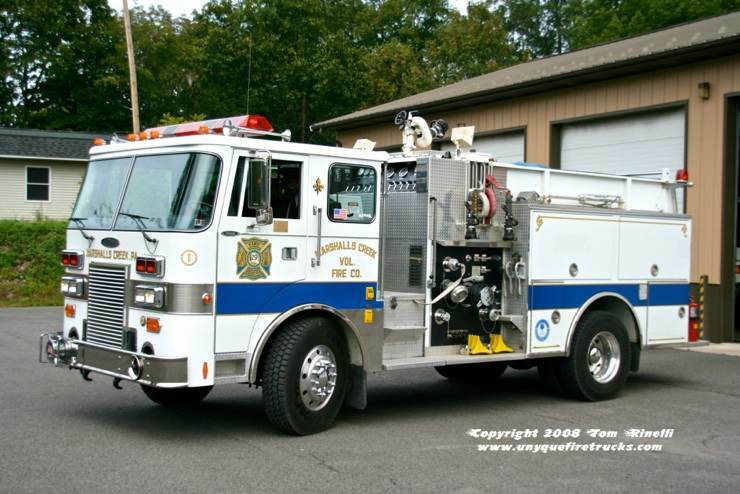 Established 1945, the company provides Fire, Rescue & EMS first response to a 220 square mile rural area encompassing Price Twp. as well as portions of Smithfield, Middle Smithfield and Price Townships in Monroe County. 70 active volunteers respond to over 1,000 alarms annually with a modern fleet of 14 apparatus custom designed for the unique needs of their response area. 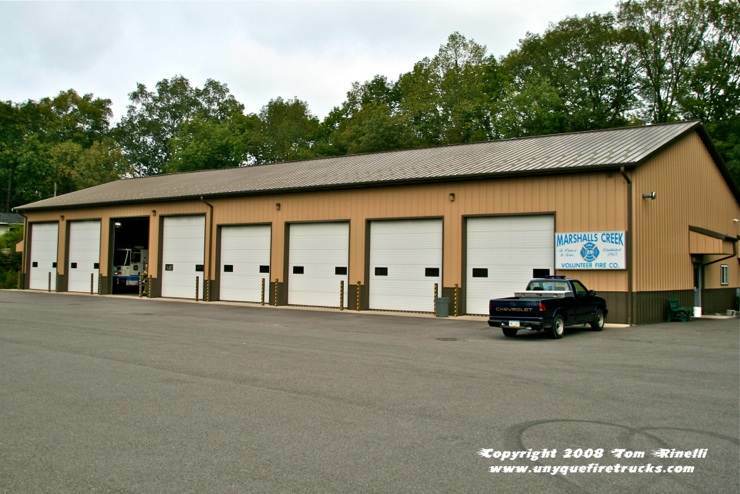 Serving as the headquarters, it houses two engines, a tanker, brush truck, two rescues, an EMS first response vehicle and a traffic control supply trailer. 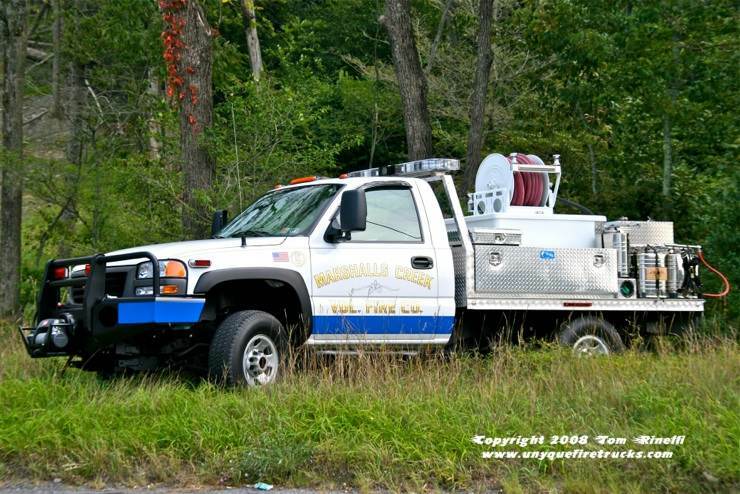 Known as the Marshalls Creek “House Truck”, it responds first due to structure fires & mutual aid. This rig was originally scheduled to be the first Quantum off the production line, however, due to some spec changes, it was either the 2nd or 3rd. It is equipped with a single cascade bottle plumbed to an air outlet on the pump panel for the operator to use when smoke banks down due to the sloped terrain in the district. 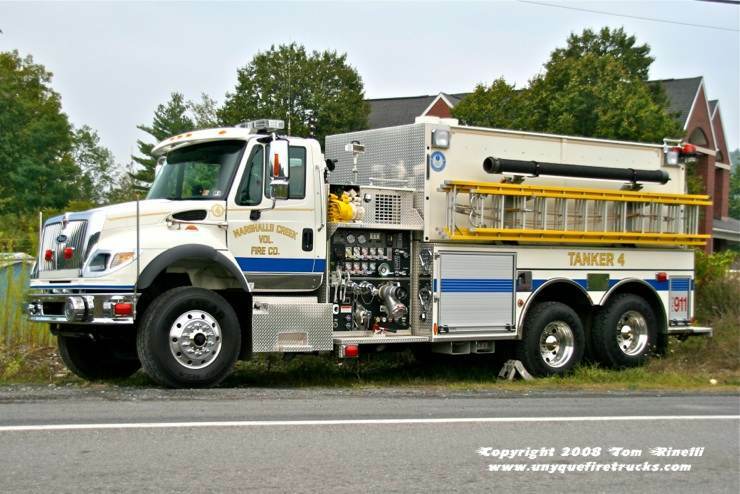 29-Tanker-4 - 2007 International 7600/Pierce 2000 gpm/3000 gal. In keeping with Marshalls Creek’s motto of “Whatever It Takes”, this rig is routinely buried up to the running boards in an effort to secure a positive water source. 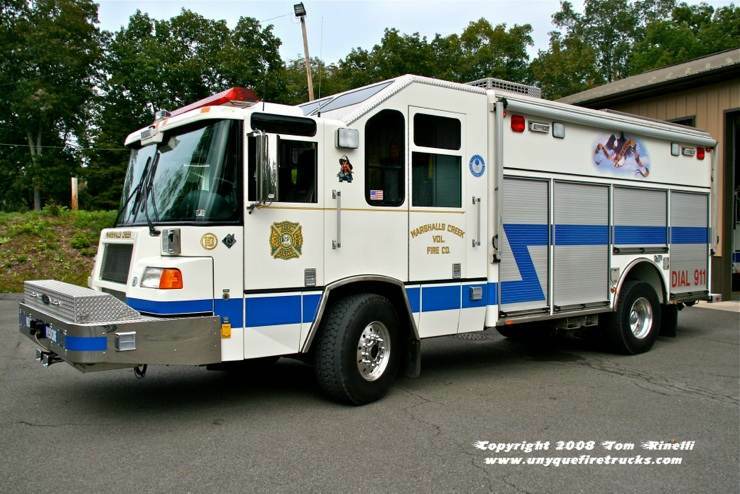 It responds to brush/vehicle fires, auto accidents, Med-Evac landings and as a mutual aid water supply engine. 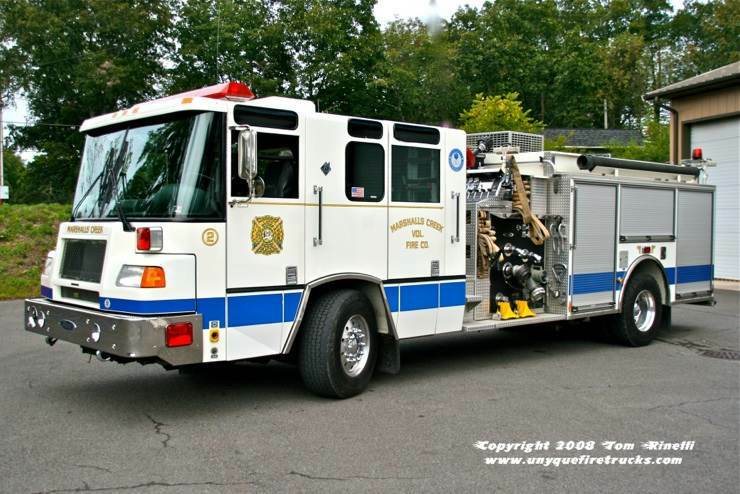 29-Brush-5 - 2007 GMC 3500 4x4/MCVFC 250 gpm/200 gal. Responding first due for all rescues, it is equipped with a 20 KW generator, light tower, a full set of Holmatro extrication tools, water rescue equipment & tools for Rapid Intervention Team operations. Special thanks to FF Mark Feldmann for his tremendous assistance with positioning the rigs for photos and providing background information on the department.